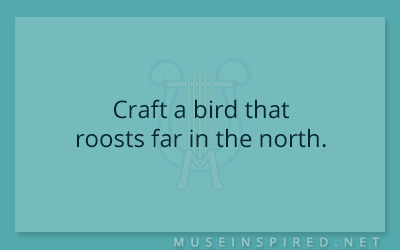 Crafting Creatures – Craft a bird that roosts far in the north. Crafting Creatures - Create a bird whose eggs resemble rocks. Crafting Creatures - Craft a type of bird that runs on land instead of flying. Crafting Creatures - Craft a creature known for it's terrifying front teeth.